I have always said that one of my favorite things to do is share good whiskey with friends and this weekend was no exception. My friends Matt and Sarah are having a baby so I was down in Cape Cod attending the baby shower. I know I am suppose to get a baby gift, but I wanted to get Matt a little something just for him. Matt is a huge Tullamore D.E.W. fan so getting him the Phoenix, which he has not had before, was fitting and a no brainer. No worries, I also bought a gift for the baby. 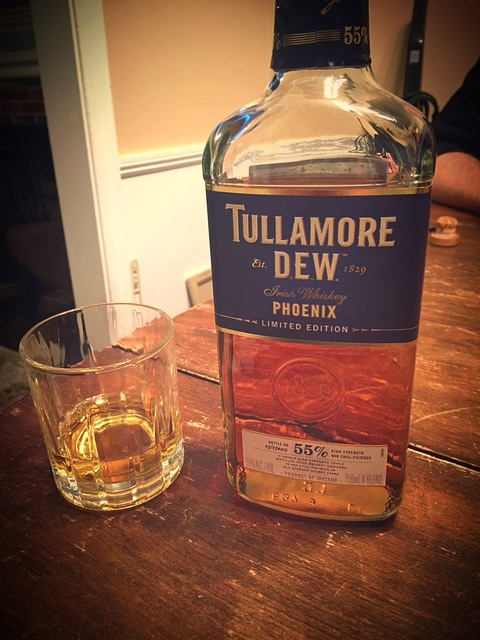 My first time tasting Tullamore D.E.W. was with Matt. He introduced me to Tullamore D.E.W. Original, Old bonded Warehouse and Heritage blend. Although those were good, I will right of the bat say that those didn’t compare to the Phoenix. Spoiler alert, the Phoenix is pretty darn great. For all my non-whiskey lovers, Tullamore D.E.W. is an Irish whiskey and if you want a little more info on the brand you can click on the link above. Tullamore D.E.W. Phoenix represents a rebirth and coming back better and stronger after a 1785 hot-air balloon accident set blaze to the town and nearly destroyed it. The town rose from those ashes and the distillery was then established in 1829. This range pays homage to this tragedy. 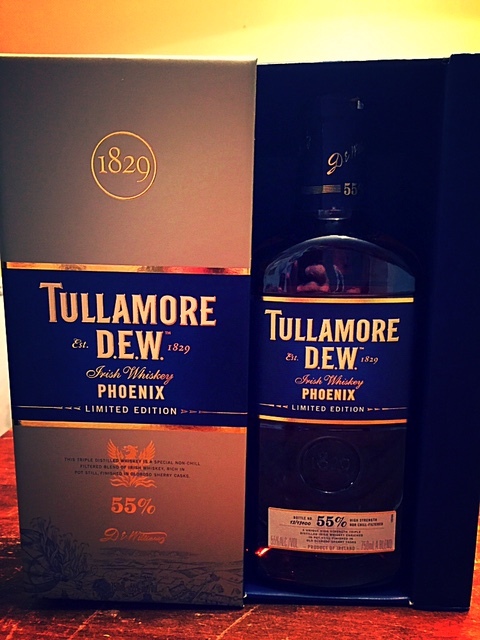 I’ve honestly got to say that so far, this Phoenix is my favorite Tullamore D.E.W. whiskey. At the end of the night, after the shower, a group of us gathered to share a very well deserved dram of this amazing whiskey. The company and the whiskey made it one hell of a night. The Phoenix is triple distilled and it’s made from golden grain, malt and pure pot still whiskey. It is 55% ABV and is finished in oloroso sherry casks. This whiskey is delicious and yes, I absolutely recommend trying. It is rich, creamy and delightful. What surprised me was the price. A bottle ranges around $50-$60. This is a solid whiskey for the price, in my opinion a win-win. You can’t go wrong if you buy it as I suspect you will very much enjoy it. Next Post Jameson 18 year-old Limited Reserve.